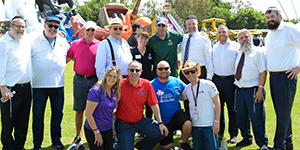 Nearly three thousand people from all across the local Jewish community had an incredible time together on the afternoon of Sunday, March 10, at the Jewish Federation of South Palm Beach County campus in West Boca. 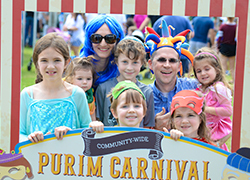 Joyous, colorful Purim Carnivals have always been part of the community’s holiday celebrations. But for South Palm Beach County, something exceptional happened for a second year as local Reform, Conservative, Orthodox and Chabad synagogues and organizations again joined forces to create something far bigger and more exciting for everyone. The CommUNITY-Wide Purim Carnival was presented in partnership with: Adolph & Rose Levis JCC, B’nai Torah Congregation, Boca Jewish Center, Boca Raton Synagogue, Chabad of Central Boca Raton, Chabad of West Boca Raton, Congregation B’nai Israel, Congregation Shaarei Kodesh, Jacobson Jewish Community Foundation, Jewish Association for Residential Care, Jewish Federation of South Palm Beach County and its Deborah & Larry D. Silver Center for Jewish Engagement, PJ Library® in South Palm Beach County, PJ Our Way™, Ruth & Norman Rales Jewish Family Services and Temple Beth El of Boca Raton. Special thanks to the Purim Carnival’s ORB-certified Food Vendors. Butcher Block Grill and FLIK, and to Butcher Block for packaging and donating all their leftovers to Meals with Meaning, a weekly meal program for the homeless, hosted in Boca Raton by B’nai Torah Congregation and St. Gregory’s Episcopalian Church. 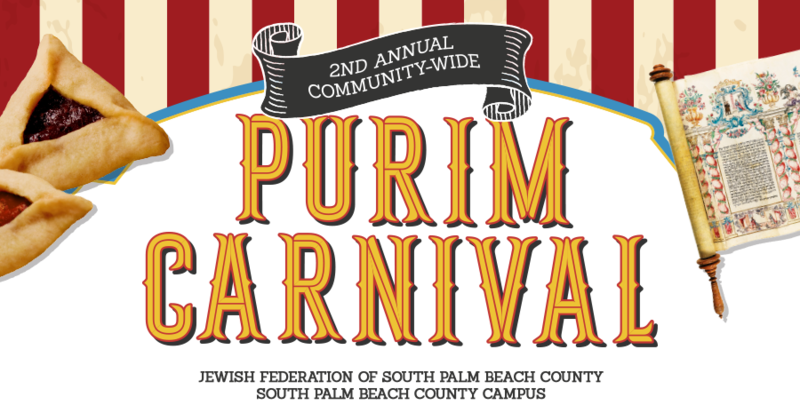 South Florida Events was an In-Kind Sponsor of the CommUNITY-Wide Purim Carnival, and The Florida Jewish Home was the Newspaper Sponsor. Smiles by Dr. W. & Dr. R. Orthodontics sponsored the PJ Library Fun Zone.